Look, there’s only one version of the Star-Spangled Banner you ever need. And no, it’s not Jimi Hendrix‘s before you say anything. And it’s definitely not Whitney‘s. Or Jose Feliciano‘s folk extravaganza, the first ‘alternative’ anthem. Or even Nirvana’s. It’s this from a (probably high) Marvin Gaye, so amazing you will barely realise he isn’t singing one of his own songs. Yes, he is the only man who’ll ever make the line, “O say can you see by the dawn’s early light”, sound like it’s directed at a lover. (If you’d like to know how his version came about, there’s a brilliant story about it over at Grantland). 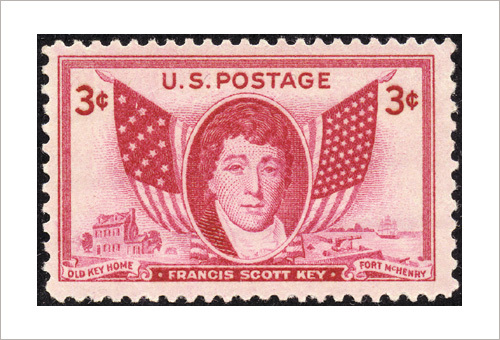 The Star-Spangled Banner, of course, sounded nothing like that when it was written in 1814 by Francis Scott Key, the dapper man on the stamp below. Key set his words to the British gentleman’s tune, The Anacreontic Song, in which a soloist sings the verses and a drunken rabble jumps in to repeat the final two lines. Below is its first verse sung by David Hildebrand, one of America’s leading researchers of colonial music, to give you a better idea. This means that when the Star-Spangled Banner was written, the final lines of each verse (“O say does that star-spangled banner yet wave / Over the land of the free and the home of the brave”) would have been repeated by the group, in a completely different fashion to today’s endless soloing. You should also notice the song was a lot jauntier back then something Gaye brilliantly – if unconsciously -tapped into. David’s very kindly let me host that clip of him taken from his CD, The Music of the War of 1812. Please have a look at his website, where you can buy a copy. This chapter isn’t actually just about the Star-Spangled Banner, though. Its focus is as much about immigration to the US and the anthem’s role in fuelling that. After World War Two, President Truman actually paid songwriters to translate the anthem into different languages – everything from Japanese to Yiddish – as part of his efforts to fight Communism. Here’s the Spanish version, which by singing about the ‘land of the free’ in words people understood probably encouraged some to move. 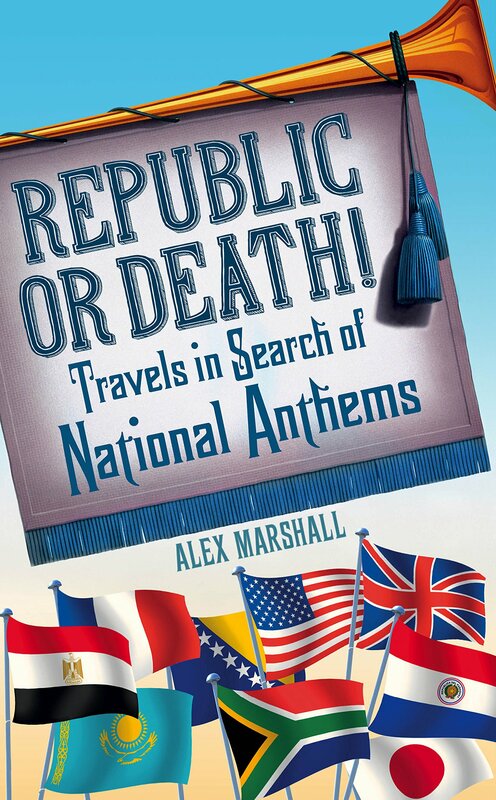 Several of the world’s anthem writers now live in the US including the men behind Barbados‘ and St Kitts & Nevis‘ anthems, but the one the book talks about most is Babatunde Ogunnaike (p84-89). 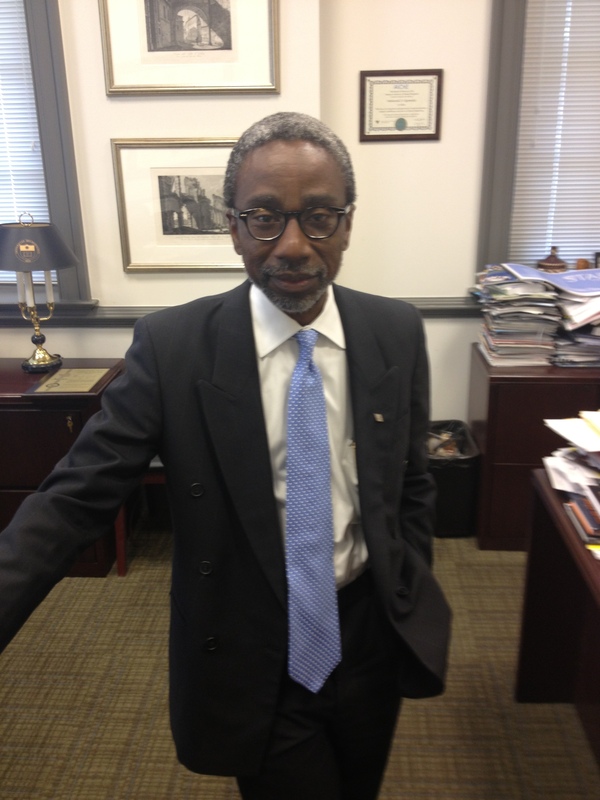 Babatunde moved to the US just after contributing words to Nigeria’s anthem, Arise O Compatriots. Given he’s a lyricist, I should probably put a vocal version of it here, but below is the instrumental so you can hear the percussion. The musician who wrote it, Pa Benedict Odiase, wanted Afrobeat drums running underneath – he wanted it to feel African, he told me – but this is the closest I can find to that effect. Outside migration, the chapter also makes it clear that the US very nearly ended up with a different song entirely as its anthem. Among ones considered were (somewhat unbelievably) Yankee Doodle, Hail! Columbia, America the Beautiful (that’s a link to a great Ray Charles’ version) and My Country ‘Tis of Thee (rejected because it has the same tune as God Save the Queen). Here’s a couple of those in case you don’t know them and to save you clicking through to all those YouTube clips. The anthem’s still finding competitors today. It isn’t the Star-Spangled Banner that’s played to finish naturalisation ceremonies, for instance, but Lee Greenwood’s even worse God Bless the USA. If this becomes the US anthem in a few years, don’t say you haven’t been warned!